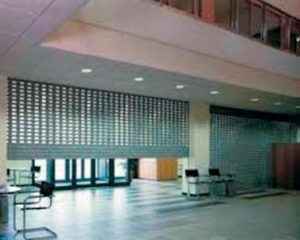 GENERAL -Furnish rolling economy grille doors as manufactured by City Gates. 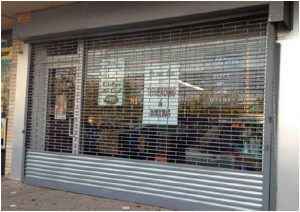 Grille doors are designed for easy operation and long life use with minimum maintenance required. 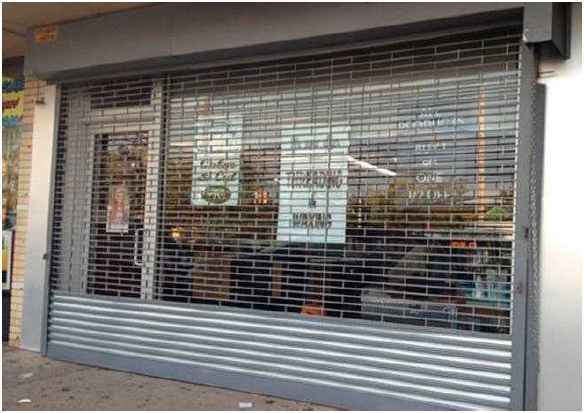 Grille doors are mostly used on store fronts, shops in malls, and on entrances having an open appearance (window shopping, drive-ins, concessions and many other locations). 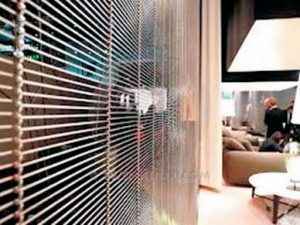 CURTAIN -CG516 curtain construction will consist of aluminum vertical links with PVC spacers to form a Straight or Brick pattern. The standard colors for the sleeves are brown, black, grey, green and gold. The CG516 will have 5/16″ galvanized steel rods or tubes that are spaced 2″ o.c., covered with PVC tubular spacers. BRACKET PLATES -Carry pipe counterbalancing shafts are made from steel plating not less than 3/16″ thick. The drive end bracket plate is to be fitted with a sealed ball bearing. Plates are to house ends of each grille coil. 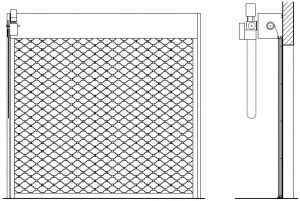 BOTTOM BAR -CG516 will have a galvanized steel bottom section or can be constructed from double aluminum angle iron. GUIDES -CG516 guides are roll formed 13 gauge steel with return lip to prevent the grille curtain from leaving the guide rails. Mounting angles are constructed from 3/16″ steel. This item is US Patented. COUNTERBALANCE ASSEMBLY -to consist of tempered helical torsion springs with a 25% safety factor, mounted on shaped cast anchors, supported by a continuous solid torsion rod.